Simon Wolstenholme, the father of Tyler Wolstenholme who died in a road collision last week, has issued a safety plea to parents of other young cyclists. Simon urged them to ensure their child is wearing a cycling helmet to ensure ‘they don’t ever feel the pain we are in right now’. 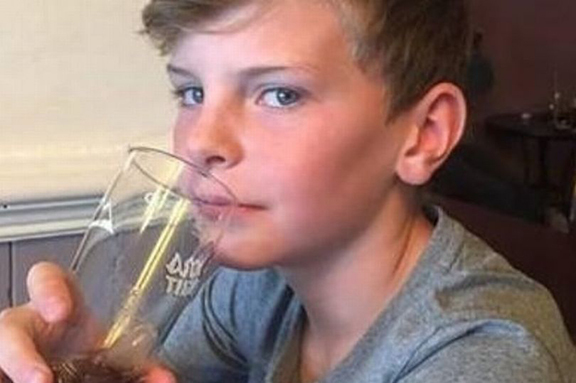 Tyler, 13, from Macclesfield, suffered serious head injuries when he was in collision with a car at the junction of Brook Street and the Silk Road and died in hospital later the same day. Following the tragedy a tribute was posted on Facebook, which stressed the importance of helmets, brakes and safety guidance for youngsters. Tyler attended Macclesfield Academy and his school friends have echoed Simon’s safety warning and created the social media hashtag #helmetonfortyler. Tyler collided with a silver Dodge Caliber on his way to school on Tuesday, January 29. He was airlifted to Manchester Royal Children’s Hospital, where he sadly died. Police have appealed for witnesses to the accident, anyone with information can contact police on 101 quoting IML number 307292. Dash can footage can submitted by clicking here .